In recent years, there has been an increasing concern surrounding the treatment of Gonorrhoea after medical experts claimed that it was a matter of time before the STD (Sexually Transmitted Disease) developed resistance to antibiotics. If it is not treated in the early stages, it can lead to ectopic pregnancy, pelvic inflammatory, and increase the risk of contracting HIV. 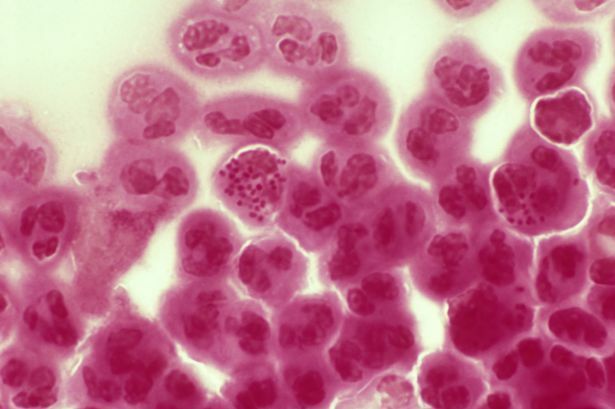 On Tuesday, the first case of highly drug-resistant super Gonorrhoea was reported in the U.K. This was named ‘Super’ gonorrhoea because the bacteria showed complete resistance to dual first-line therapy. The head of a section in Public Health England stated that the first line treatment for gonorrhoea is a combination of two antibiotics (ceftriaxone and azithromycin). This was the first time a patient had shown complete resistance to these drugs and most of the other commonly used antibiotics. Doctors are investigating this case to make sure that the transmission risk is minimized as much as possible. Public Health England has also introduced enhanced surveillance to identify the root cause of this problem and take necessary precautions to stop this resistant strain of infection from spreading further. Doctors also added that using condoms is one of the effective ways to prevent infections. Currently, doctors have used a drug called “ertapenem” for treating patients infected by ‘super gonorrhoea’. It might take up to one month for doctors to confirm if the treatment is successful. While Gonorrhoea causes no symptoms, few observed causes include signs like bleeding between periods, burning sensation during urination, and testicular pain. WHO (World Health Organization) has reported that around 78 million people are infected by Gonorrhoea each year. David Harvey, the Executive Director of National Coalition of STD Directors stated that the US and all other nations have to take drug-resistant gonorrhoea seriously and start finding new cures to it. Also, the funding must be increased to combat life-threatening STDs.